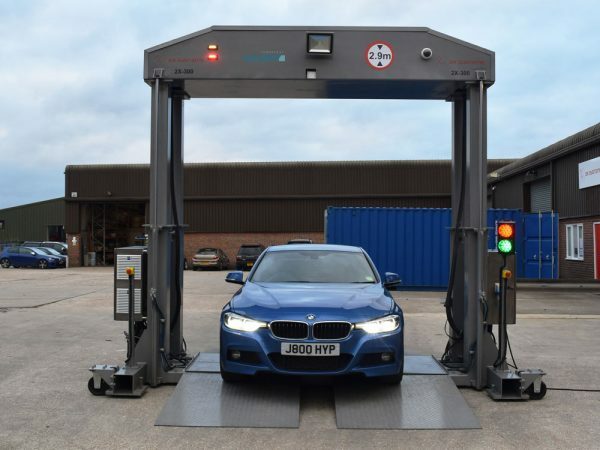 UK-based 2X Systems has developed a range of 2X-300 x-ray scanners to meet the demands for vehicle screening at ports, border crossings and secure facilities – as well as a selection of container systems to cater for a range of security screening scenarios. When it comes to installation, 2X understands the difficulties involved and the requirement for high-skilled personnel to carry it out – which is why its innovative designs are based on delivery to site and out-of-the-box operation, eliminating the need for highly-skilled engineers where possible. The scanners consist of the rapid deployable 2X-300DT, a fully self-contained system with minimal support required for installation – as well as the fixed 2X-300DF for situations where the system is to be operated on a permanent or semi-permanent basis, and the 2X-300DC conveyor which enables autonomous scanning of vehicles. Our security systems include the 2X-833, a class-leading metal detector offering security operators a reliable system for use in various operational environments, and the Secupod security solution which can be operational in under an hour. 2X also offers a range of mobile security space solutions (temporary buildings and structures that can be customised to meet customers’ specific needs), which have been designed to accommodate security checkpoints and multiple search areas – ideal for sports events and high-security venues. With an optimised footprint to simplify integration into existing structures, the 2X-300 scanners have been developed with ease of transportation and installation in mind – and have been designed specifically for the screening of cars, vans and minibuses (including their chassis) for bombs and smuggled goods. The 2X-300 can also be configured to operate in a number of modes; the conveyor option processes up to 55 vehicles per hour, whilst the drive-through mode is tailored for busy checkpoints, enabling a high throughput of up to 250 vehicles per hour. High-definition, top-down imaging of the vehicle provides the operator with excellent, fast and easy imaging tools for detecting threats, drugs, explosives, weapons, contraband and people trafficking – whilst the OCR records the number plate and stores the images for retrieval either locally or remotely. The system is designed to fit into a standard 20ft ISO container that has been adapted to take the 2X-300 fully built. The ‘patent pending’ design eliminates the need for an installation team. All the equipment required to move the system into position and operate it are included in the container ready for when it arrives at the site – allowing the 2X-300 to be fully operational in as little as 30 minutes on flat ground, depending on the type of deployment. As such, the 2X-300 system is an ideal solution for the protection of critical infrastructure facilities such as government buildings, military checkpoints, nuclear power plants and other utilities, as well as land and sea borders.